The U.S. Tax Court issued two valuation decisions in late December 2018 that may be of interest to QuickRead readers. The opinion is 116 pages long and delves into what is a qualified real property easement that qualifies for a charitable deduction, and the 36-page memorandum provides guidance regarding how the court weighs expert witness testimony in this area of easements. On December 27, 2018, the U.S. Tax Court issued two lengthy decisions: an opinion and memorandum decision that focus on what is a qualified real estate easement and the weight accorded to the expert testimony. The opinion is notable since it includes a dissenting opinion by Judge Morrison. This second case is valuable since it shows the thought process that was followed deciding the weight the Court accorded to the respective experts. It is a must read for QuickRead members that provide tax and business planning services to clients involved in real estate development, land use planning or tax services, and/or provide litigation support services notwithstanding the cases are focused on real estate conservation easements. Facts: Petitioner (P) acquired 6,226 acres, in 10 contiguous tracts near Birmingham, Alabama, and conveyed to a qualified land trust, in 2005, 2006, and 2007, easements covering relatively small portions of the property purchased, some which included ridgelines. Each easement defined a conservation area that was to be restricted in perpetuity from commercial and residential development, with a carve-out in the 2005 and 2006 easements for 16 reserved “building areas,” within each of which P could construct a single-family residence. The 2006 easement did not specify the location of the building areas, and the 2005 easement permitted P (with the trust’s consent) to move the building areas from their initially designated locations to any other location within the conservation area. The 2005 easement also reserved to P the rights to construct, within the conservation area, other facilities appurtenant to residential development, such as barns, riding stables, scenic overlooks, and boat storage buildings, some of which could include additional living quarters. P claimed charitable contribution deductions for the easements on its 2005, 2006, and 2007 tax returns. Respondent (R) contended that the easements were not “qualified real property interest[s]” under I.R.C. sec. 170(h)(1)(A); that the easements were not made “exclusively for conservation purposes” under I.R.C. sec. 170(h)(1)(C); and that P overstated the fair market values of the easements. Issues: Whether the 2005, 2006 and 2007 easements constituted a qualified easement and, if so, whether the $97.37 million charitable deduction claimed for the conservation easements was reasonable? Held: 1. The 2005 and 2006 easements did not restrict a specific, identifiable piece of real property because they allowed supposedly conserved land to be taken back and used for residential development. Because neither easement constituted “a restriction (granted in perpetuity) on the use which may be made of the real property,” I.R.C. sec. 170(h)(2)(C), neither easement constituted a “qualified real property interest” that could give rise to a charitable contribution deduction under I.R.C. sec. 170(h)(1)(A). Belk v. Commissioner, 774 F.3d 221 (4th Cir. 2014), aff’g 140 T.C. 1 (2013), followed. Held, further, the 2007 easement covered a specific, identifiable piece of real property and was “granted in perpetuity” under I.R.C. sec. 170(h)(2)(C). Held, further, the 2007 easement was made “exclusively for conservation purposes” under I.R.C. sec. 170(h)(1)(C). Held, further, the inclusion in the 2007 easement of a provision allowing amendments, provided that they were “not inconsistent with the conservation purposes of the donation,” did not prevent that easement from satisfying the granted-in-perpetuity requirement of I.R.C. sec. 170(h)(2)(C). Section 170(a)(1) allows a deduction for any charitable contribution made within the taxable year. If the taxpayer makes a charitable contribution of property other than money, the amount of the contribution is generally equal to the fair market value of the property at the time the gift is made. See sec. 1.170A-1(c)(1), Income Tax Regs. The Code generally restricts a taxpayer’s charitable contribution deduction for the donation of “an interest in property which consists of less than the taxpayer’s entire interest in such property.” Sec. 170(f)(3)(A). But there is an exception to this rule for a “qualified conservation contribution.” Sec. 170(f)(3)(B)(iii). This exception applies where: (1) the taxpayer makes a contribution of a “qualified real property interest,” (2) the donee is a “qualified organization,” and (3) the contribution is “exclusively for conservation purposes.” Sec. 170(h)(1). The first of these requirements—that the donation consist of a “qualified real property interest”—is the initial focus of our attention here. Section 170(h)(2) defines a “qualified real property interest” to include “a restriction (granted in perpetuity) on the use which may be made of the real property.” Sec. 170(h)(2)(C). The regulations provide that a “perpetual conservation restriction” is a restriction—including an easement, restrictive covenant, or equitable servitude—“granted in perpetuity on the use which may be made of real property.” Sec. 1.170A-14(b)(2), Income Tax Regs. “Any rights reserved by the donor in the donation of a perpetual conservation restriction must conform to the requirements” of section 170(h) and the regulations thereunder. Sec. 1.170A14(b)(2), Income Tax Regs. Respondent contended that the easements did not constitute “qualified real property interest[s]” because the restrictions on the use that could be made of the conserved land were not “granted in perpetuity.” Sec. 170(h)(2)(C). That was so, in respondent’s view, because the “Reserved Rights” enumerated in article 3 of the easements enabled the developer to take back supposedly conserved land and dedicate it to residential development. That development could consist of up to 16 single-family residences, as well as boathouses, riding stables, scenic overlook outbuildings, and other structures intended for the homeowners’ recreation and enjoyment. As evident above, the Court agreed with the Commissioner with respect to the 2005 and 2006 easements, but not the 2007 easements. As relevant here, the developer could consider two techniques for putting new holes in the cheese. First, he could put new holes in the cheese and make up for it by adding an equal amount of previously unprotected land to the conservation area. That was the pattern in Belk. Alternatively, he could put new holes in the cheese and make up for it by plugging the same number of holes elsewhere in the conservation area. That was the pattern in Bosque Canyon and in the instant case. In each instance the acreage subject to the easement remains the same. But in both instances, the developer has achieved the impermissible objective of putting new holes in the cheese, i.e., subjecting to commercial or residential development land that was supposed to be protected in perpetuity from such development. Like Judge Dennis, we are unable to discern any meaningful legal distinction between these two paths to the same bottom line. In both scenarios, the developer has retained the right to develop a portion of the conservation area by substituting other property. The only difference among Belk, Bosque Canyon, and this case is whether the other property lies inside or adjacent to the conservation area. We do not see why it matters where the other property lies. What matters is whether there is a perpetual use restriction on “the real property” covered by the easement at the time the easement is granted. Sec. 170(h)(2)(C). Unlike the other two easements, the 2007 easement designates no “Building Areas” and permits no residential construction anywhere within the 2007 Conservation Area. It likewise reserves to Pine Mountain no rights to construct scenic overlooks, barns, riding stables, boat storage buildings, piers, or other structures appurtenant to residential development. In prior cases we have treated the question whether a conservation interest is “protected in perpetuity” as a question of fact. See Glass v. Commissioner, 124 T.C. 258, 282-283 (2005), aff’d, 471 F.3d 698 (6th Cir. 2006); Gorra v. Commissioner, T.C. Memo. 2013-254, 106 T.C.M. (CCH) 523, 531-532; Butler v. Commissioner, T.C. Memo. 2012-72, 103 T.C.M. (CCH) 1359, 1366-1367, 1384. There was no conflicting testimony as to whether the conservation purposes underlying the 2007 easement were protected in perpetuity. We find as a fact that these purposes were so protected and for that reason, reject respondent’s first argument. This latter comment suggests that the Court’s inquiry is narrow and that the issue is not considered “legal”, rather it is a question of fact. Petitioner argues for an overall charitable contribution deduction of $97.37 million, of which $9.11 million is attributable to the 2007 easement. Petitioner paid $37 million for the entire Pine Mountain property, comprising 6,224 acres. 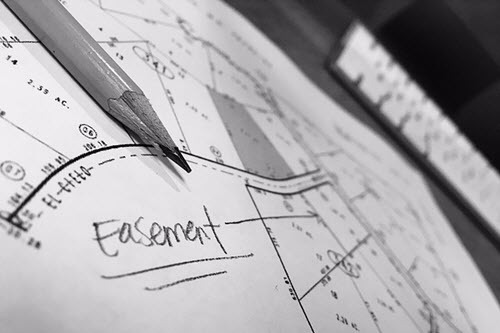 The three easements collectively cover only 1,283 acres, or 20.6% of the property, leaving 79.4% available for commercial or residential development. Because the easements were placed on the various parcels within two years of their acquisition, petitioner’s valuations presuppose a large increase in value over a very short time. The limited partners paid about $45 million for their 50% interest in the partnership, and petitioner’s valuations would afford them a charitable contribution deduction of $48.69 million, $3.69 million more than their entire capital investment. And they would still own a 50% interest in the remaining 4,941 acres, all of which is available for commercial or residential development. Given our disposition, we need determine the fair market value only of the 2007 easement. That value is determined in a separate Memorandum Opinion. Facts: This case concerns charitable-contribution deductions for three conservation easements. The easements were contributed in 2005, 2006, and 2007, respectively. In the opinion (appearing above), the Tax Court resolved all issues except the value of the 2007 easement. The reviewed Opinion held that no deductions were allowed for the 2005 and the 2006 easements but that a deduction is allowed for the 2007 easement (to the extent of its value). Judge Morrison, who dissented in the opinion, wrote this memorandum. Issue: What is the fair market value of the 2007 easement? Held: The value of the 2007 easement is $4,779,500, not the $9.11 million claimed by taxpayer. The Court’s opinion with respect to the weight accorded to the experts in the case may be of interest to readers that provide litigation support services. Only a portion of the opinion is included; readers may download the 36-page opinion by clicking here. In Tax Court litigation, the usual rule is that the burden of proof is on the petitioner. This burden includes both the burdens of production and persuasion. Cozzi v. Commissioner, 88 T.C. 435, 443-444 (1987). The burden of production is satisfied if the petitioner comes forward with enough evidence to support a factual finding. Estate of Gilford v. Commissioner, 88 T.C. 38, 51 (1987). The burden of persuasion is satisfied if the petitioner shows that, on the basis of the evidence, the fact is more probable than not. Merkel v. Commissioner, 109 T.C. 463, 476 (1997) (citing 2 McCormick on Evidence, sec. 339, at 439 (4th ed. 1992)), aff’d, 192 F.3d 844 (9th Cir. 1999). The petitioner is Eddleman Properties, LLC (Eddleman Properties), the tax matters partner of Pine Mountain Preserve, LLLP. Although as the petitioner Eddleman Properties bears the burden of proof, the findings of fact would be the same even if respondent (the IRS) were to bear the burden of proof. Here, the Court had issues with the approach taken by both experts. Each party challenges the reliability of the method used by the other party’s expert and asserts that the method does not comport with the regulation (i.e., the regulation that governs the valuation of a perpetual conservation restriction, section 1.170A-14(h)(3)(i), Income Tax Regs.). Both parties’ challenges are correct. Neither side’s expert witness employed a method that fits within the parameters of the regulation. To determine the value of the 2007 easement, we adopt the following approach: The value of the easement should be estimated by giving equal weight to the values assigned by Veal and McGurrin. To explain why this approach is reasonable under the circumstances, we will discuss three general topics: (1) how both experts’ opinions have aspects that are useful to the determination of the easement’s value, (2) the nature of the errors made by each expert, and (3) how weighting the two experts’ opinions tends to correct the errors in their respective approaches. Using an equally weighted average, we conclude that the value of the 2007 easement is $4,779,500, equal to 50% of Veal’s $9,110,000 value plus 50% of McGurrin’s $449,000 value. These two cases will provide guidance to readers that represent real estate developers, tax preparers, and litigation consulting experts, as well as taxpayers that contemplate a charitable gift in the form of an easement. Roberto H Castro, JD, MST, MBA, CVA, CPVA, CMEA, BCMHV, is an appraiser of closely held businesses, machinery and equipment, and Managing Member of Central Washington Appraisal, Economics & Forensics, LLC. He is also an attorney with a focus on tax, wills and trusts, business law, and succession planning with offices in E. Wenatchee and Chelan, WA. Mr. Castro is also Technical Editor of QuickRead and writes case law columns for The Value Examiner. Mr. Castro can be contacted at (509) 679-3668 or by e-mail to either rcastro@cwa-appraisal.com, rcastro@rcastrolaw.com, or rcastro@cwa-appraisal.com.